Straight Line 3 person Supreme Heavy Duty Tube Rope. Spliced loop on each end for an easy connection with boat and tube, and a single neoprene float. 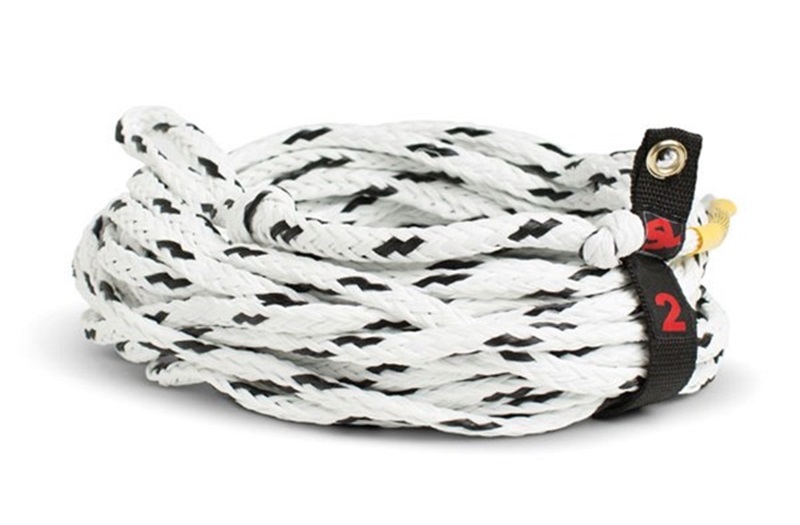 Connelly Proline Deluxe Tube Rope for 2 people - suitable for not just Connelly Ski Tubes. 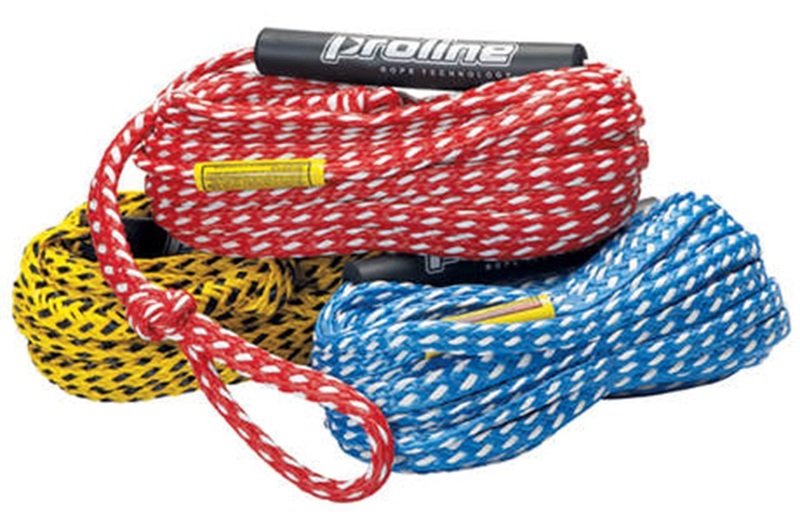 Connelly Proline Heavy Duty Tube Rope for 4 people - safe and durable with UV protection. Jobe Bungee Impact Absorbing Tube Rope for up to 4 persons - extra dimension on towable ridding! O'Brien Floating Heavy Duty 6 Rider Towable Inflatable Tube Rope - Never worry about losing your rope in the water again. O'Brien Heavy Duty 6 Rider Tube Rope for Towable Inflatable Tubes - 6,100 pounds average break strength. Jobe Bungee Impact Absorbing Tube Rope Extension - Helps absorb shock, gives you maximum comfort. 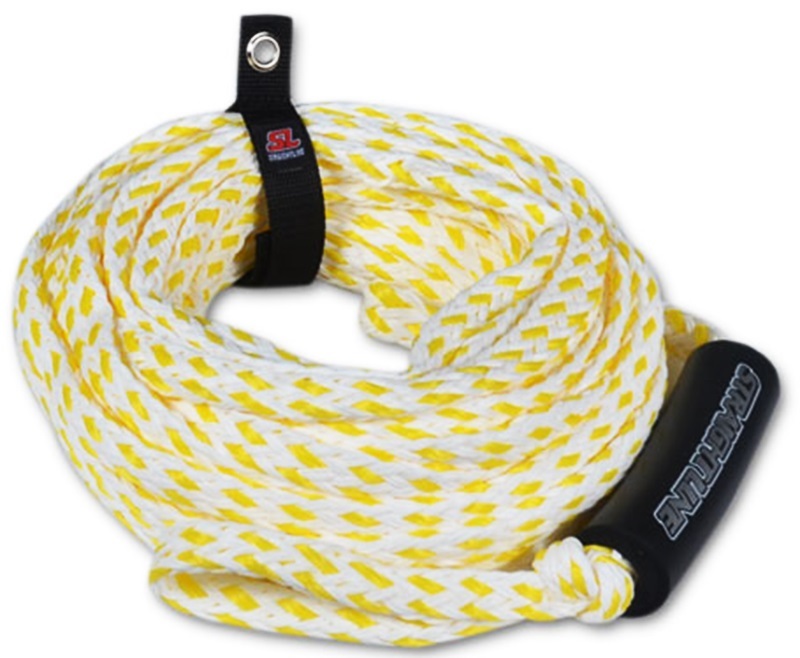 Storm 2 section 50' Tube rope for 1 rider tubes rating with up to 1500lb / 680kg. Connelly Proline Value Tube Rope for 4 people - Poly-E rope for guaranteed buoyancy. Connelly Proline Super Duty Tube Rope for 6 people - safe and durable with UV protection. Jobe Heavy Duty Jobe Towable Tube Rope with float for inflatables - up to 4 Rider Tubes. 55' total. Connelly Proline Value Tube Rope - Poly-E rope for guaranteed buoyancy. Jobe 2 Rider Towable Tube Rope with hook - 50ft. / 15.2m for up to 1077 KG. Connelly Proline Value Safety Tube Rope for 2 people - a Floating Tube Rope. Straight Line 3 person Supreme Heavy Duty Tube Rope in Blue and Green. Multi-coloured rope for increased visibility on the water and a single neoprene float.